It's easy to look at the name, Fast and Furious: Showdown, and leap to conclusions that it'll be a lazy, phoned-in movie tie-in that represents the lowest common denominator of gaming. 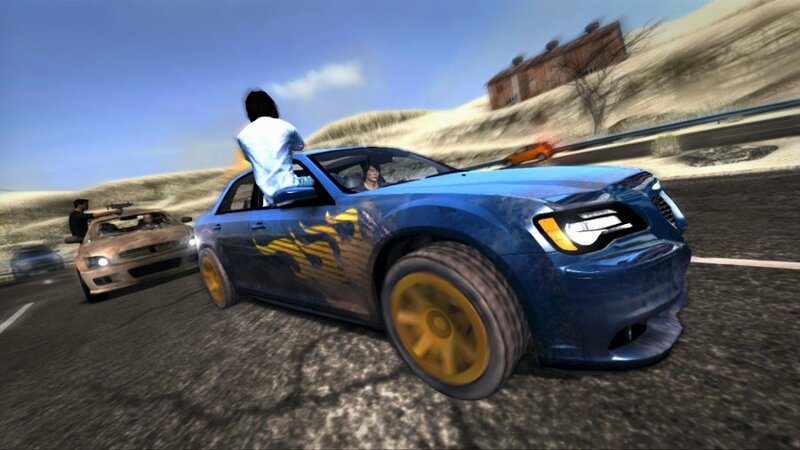 Of course we shouldn't make such assumptions, as a game based around a series of over-the-top car action movies surely has the potential to be awesome because, well, driving cars fast and smashing things is terrific fun when developed properly. However, if you assumed a cheap, rubbish game when you saw the title, you will have successfully judged it by its cover; just don't make a habit of it. 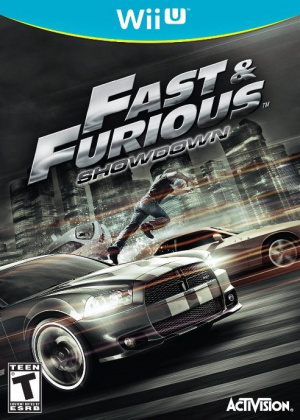 We'll start with the most important point, Fast & Furious: Showdown is barely mediocre in its very best moments, and the rest of the time is utter garbage. If this was a cheap download game bought on a whim it'd likely be played for 20 minutes before most would say "meh, wish I hadn't spent a few dollars on that". But it's a retail game, so let's call it for what it is, a sub-par product that simply isn't good enough. It is an action racing game, ultimately, but one devoid of creativity and execution. 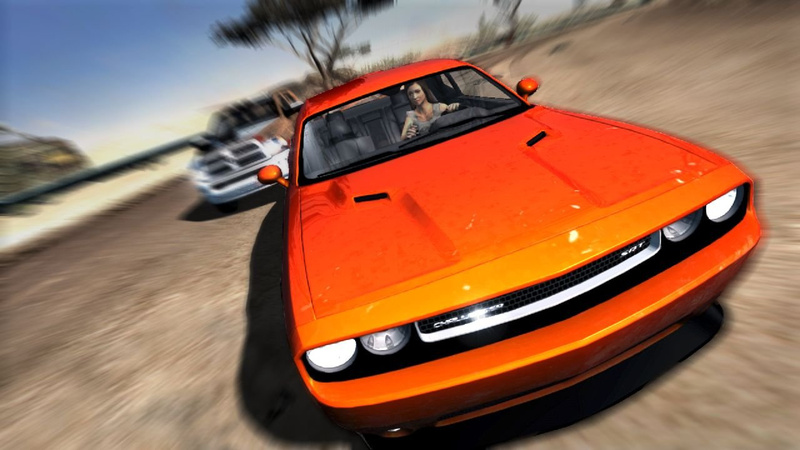 Split into a campaign mode and challenge stages, you drive through a handful of different mission types that mostly involve a race to finish first, shooting stuff with one of the least precise and sluggish crosshairs we've experienced while hanging out of the car window — not as exciting as it sounds — and then driving and shooting some more. When this game tries to get more ambitious in its goals, things fall down further; in one mission you have to use a grapple gun to shoot and pull down communication towers — good luck with that. The problems with this title go to its core, ultimately, as the mechanics for shooting, driving and most tasks are subpar; the drifting mechanic is heavy and troublesome to master, even for experienced racing gamers; steering is heavy, with a ludicrously-sized dead spot on the analogue sticks; AI can be cheap, to the point that you find yourself manipulating the game or your role in each mission to progress. For that's the gimmick of which this title is most proud, that in all missions you can choose between two drivers or even between roles; driver, gunner, and passenger. The first two are self-explanatory, with AI taking over the other role, though you can switch by tapping X in the game at any point; we discovered that computer AI characters can hit a flea from a kilometre away with a submachine gun, so if struggling on those missions go behind the wheel and let them gun opponents down. The third role, of passenger, is a bit of a mess. You're a gunner initially, but at a key moment jump onto and hijack another vehicle; if we say that it involves quick-time button mashing and some of the worst character animations we've seen in recent years, you should have a good idea. And then there are the difficulty spikes. Levels in the campaign typically last 3-5 minutes, but while some are fairly easy, others will need lots of repeat plays. You can gain experience and equip mods to help you out, and these can be vital if you want to make it all the way through. The problem is that the poor core experience doesn't exactly fill a gamer with joy when replaying a level multiple times, and as you're repeating the same old tasks on unimaginative linear stages, it becomes a chore. An alternative is a challenge mode, which tries to shake things up with tasks such as destroying your car stylishly — which is really five minutes of bashing walls and cars rather than anything particularly fun — or a chance to be a helicopter gunner. In addition, you can also play all challenges and campaign levels with a friend in two player local co-op, with support for all notable controllers available. In this case one player uses the GamePad screen exclusively while the other plays on the TV; it doesn't make the game any better and it's simply sharing the same content with an unlucky partner, but its implementation is the one example of the developers making the best of the Wii U's capabilities. That's it, though, and considering how dissatisfying the experience is, the absence of any competitive multiplayer — local or online — seems insignificant. And while it plays badly, it must also be said that this title looks atrocious for a HD system, and feels like one of those cheap Wii titles that most didn't even know existed, albeit upscaled. Textures are fuzzy, with story cutscenes — and the plot makes no sense, really — looking like pre-rendered efforts from many years ago. Sound is functional, with hip hop and dubstep constantly on the go, while voice acting seems to be from the film's stars — not that their performances really do much to enliven proceedings. In addition, our copy of this title also caused our Wii U system to crash more than 10 times during the course of working on this review, with crashes becoming increasingly frequent as we progressed — our console hung up and the GamePad screen dropped its image when attempting off-TV play on multiple occasions. This on a system that had barely crashed since launch day, but it seemed appropriate for a car crash of a retail title. Perhaps this game was developed in just a few months by an under-funded and over-stretched team, who knows. What we do know is that Fast & Furious: Showdown is one of the worst retail titles we've played in a long time, and does nothing but bring discredit to Activision as its publisher. If blasting through over 30 repetitive stages with awful physics, stiff controls and abysmal visuals is your idea of fun, then you're doing this video game hobby thing wrong and you may like this. For everyone else, leave it on the shelf and pick up a proper driving game, like Need for Speed: Most Wanted U. So is this worse than Actvision's Walking Dead game? @gaby_gabito I haven't personally played that Walking Dead game, so I have no idea whether it's worse. Sorry! Its funny the joke that has become the Movie Tie-in Game within the industry. Me, me, me, I want it, I want it, I want it? 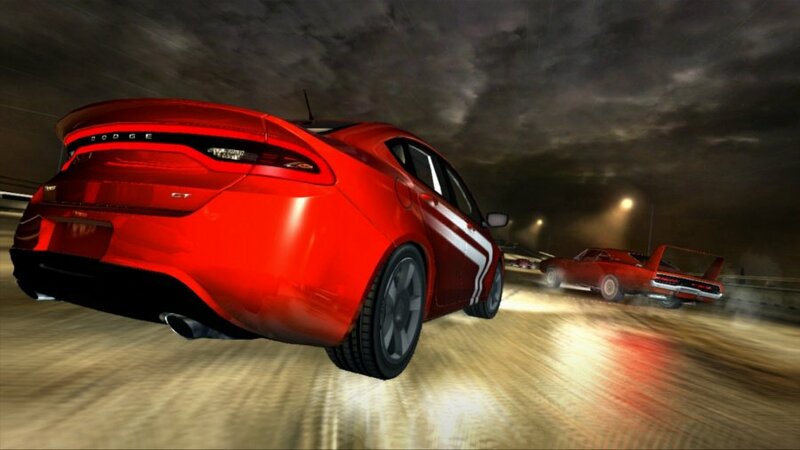 How hard can it be to make a decent racing game? Seriously, this is just lazy. 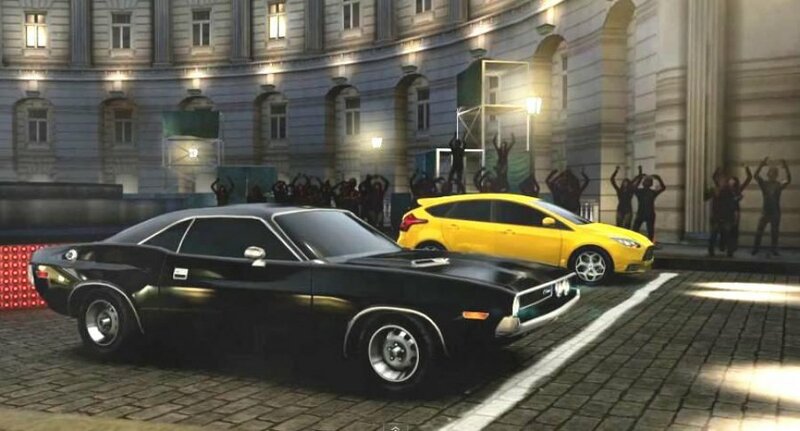 NFS underground is closer to what F&F should have been. This is what most Activision games deserve in terms of a rating. Wish you guys would have just made this more of a joke article. Because that is what it is, a joke. I really don''t understand releases like this,its just a quick cash in but all they do is harm the companies name more in the long term.If it's from a small publisher then you can let it go but when it's 1 of the big boys,surely a minimum standard has to be set?! Activision has been doing it for years though so it should come as no surprise.Who are the devs who make these games though,surely they got into game development because they are passionate about exactly that.Are they completely blind to the fact that their game is utter crap and they have wasted the last year or so of their lives creating something that no mug is gonna play for more than 5 minutes? !If I worked for these muppets I wouldn't be able to sleep at night knowing I'm scamming some sucker out of 40 odd quid.And the fact that as Thomas points out it constantly causes your system to crash means its faulty and therefor shouldn't even be allowed to be released! It sounds like my weekend whenever I get an email from Dazza. Good review! Thanks for taking this so I didn't have to. Activison certainly pulled a Fast one there. @ThomasBW84 @gaby_gabito I am shuddering at the thought of a game being worse than Survival Instinct. I actually have this game on the PS3 and I love it. Sure it's far from perfect, but it certainly isn't a 2. I'd give it a 6 or 7 stars. The Walking Dead game gets alot of bad rep, but I found it funner than most people b**ch about. This game being terrible, on the other hand, doesn't surprise me at all. @hydeks are you sure your talking about the same Walking Dead game? I don't see anyway anyone could enjoy Survival Instinct. As for this game, never planned on buying it, looks like I made the right choice. The review was excellently written, nice job. @KnightRider666 I wouldn't think this deserves a 7 from what I've heard in the review. Seven is the score of Megaman. Is this on par with it? I've never played it, so I can only trust Thomas. @HeatBombastic: Mega Man is a completely different game. Every review I found on this game was negative. I waited for a used copy and played it myself. I honesty had a lot of fun with it. I found another actual player review and that person like it as well. Just because a reviewer on here hates, doesn't mean you have to take his word for it. You can't always believe the hype. Go out and find a used copy at a Game Stop near you and try it. I loved all the movies, so maybe I have a soft spot in my heart for this game. @OorWullie They are banking on the idea that the average consumer does not know who creates or publishes a game, and simply blames the game itself. Considering there's already two awesome racing games for Wii U, we could all just avoid this crap. "- Hey, let's bring 'The Walking Dead' to a console that has 'Zombi U'!" what is it about movie-based games that they always(or most of the time) turn out to be crap. I wanted this to be worth owning because of the Co-Op with one person using the gamepad. I guess I'm stuck with Nintendo Land and Tank! Tank! Tank! for that. KnightRider666 You've crossed the line dude, the great Thomas Whitehead doesn't hate on Activision. you guys EVER gonna review the 3DS version! ?